Welcome to the home of the “Market Your Business Like A Pro” podcast. Each episode has tips to help you grow your business which you can put to work right away. Bookmark this page and come back to see (and hear) what’s new each week! Click Here For Previous Episodes! 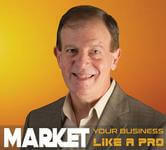 Have You Heard the Latest Episode of the “Market Your Business Like A Pro” Podcast? Every week I cover marketing tools, tips and best practices you need to know about to maximize your success. Each episode gives you information you can put to work right away! You can also find the “Market Your Business Like A Pro” podcast on iTunes, Google Play Music, and Podbean. The ​”Market Your Business Like A Pro” podcast helps listeners Gain An Unfair Advantage Over Their Competition with real world advice on how to grow their business. Have something you’d like to have Ken cover in the podcast? Please fill out the form below to let us know your areas of interest.